A harmonious blend of simplicity and elegance, this bed shows an understated styling that allows the beauty of the sustainably-sourced cherry wood to shine through. Run your fingers along the exceptionally smooth wood, and you'll feel the impressive craftsmanship. 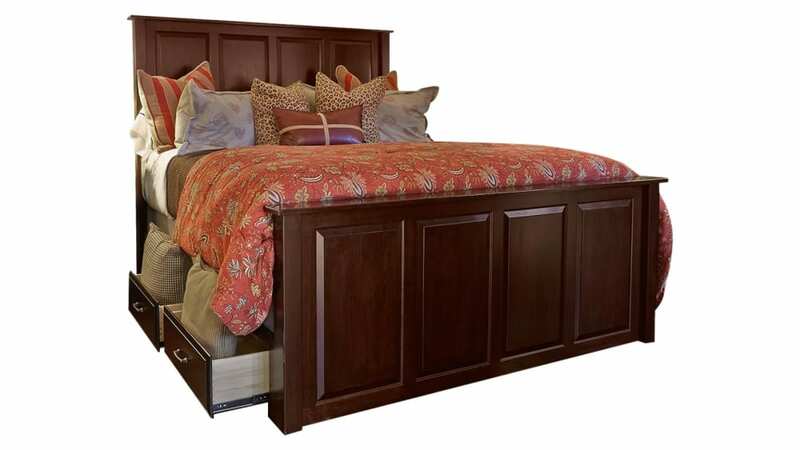 Master American craftsmen put extraordinary attention to detail into this exquisite king bed. Made from solid, American, black cherry wood, sustainably harvested from responsibly managed forests. 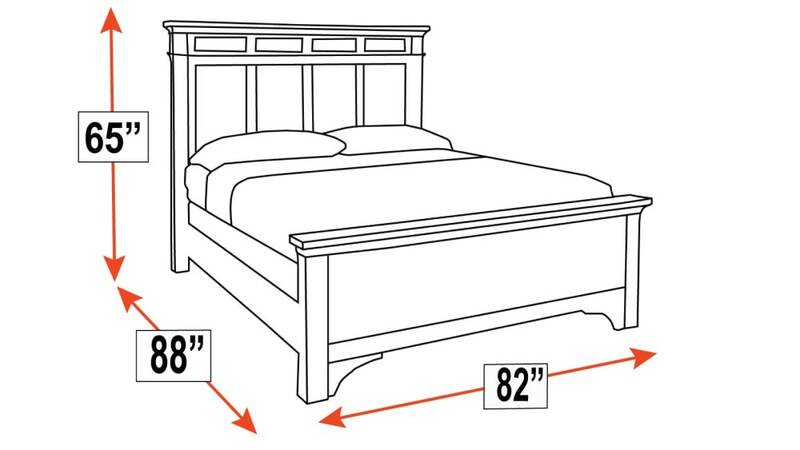 The bed features a raised platform, so you don't need to pay for a box spring. A pre-catalyzed finish, hand-rubbed to a lustrous shine, protects this bed from everyday wear and tear. High-quality nickel drawer pulls enhance the unmistakable appeal of each solid maple drawer. Three drawers on each side of the bed allow unprecedented storage opportunities within your bedroom. Provide jobs for Americans and make a difference in your community by filling your home with the distinctive style and unmatched quality of solid wood from Gallery Furniture TODAY!